The following caves are just some of the stunning caves that can be found in the island of Samar, which includes the provinces of Samar, Northern Samar and Eastern Samar. Also called as the “mother of all chambers”, Langun-Gobingob Cave is the largest cave of the 12 caves in Calbiga measuring 270 meters long and 160 meters wide enough to fit three football fields. 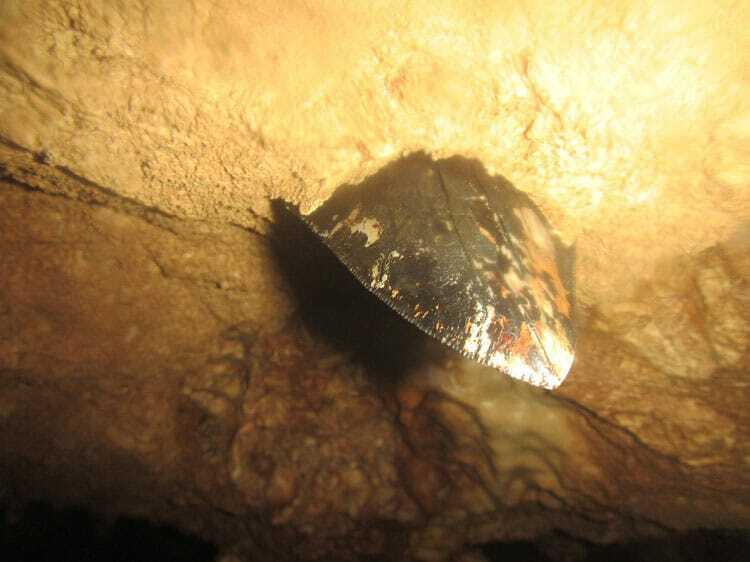 The cave is famous for speleothems and various cave life such as several endangered species of bats, cave crickets (troglobionts), the eyeless fish (Caecogobius cryptophthalmus), cave spiders (tarantula), birds, snakes, and white and red crabs. 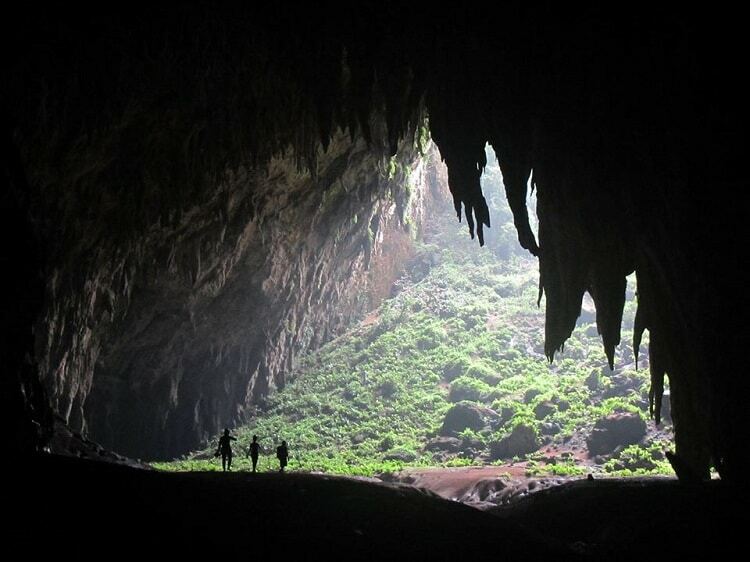 Sulpan Cave has one of the most beautiful cave entrances in the Philippines located in Brgy. Bai-ang, San Jorge, Samar. Right in front of the cave’s mouth is a four-layered waterfall called Pinipisakan Falls. The Sulpan Cave has five-kilometer long underground cave chambers filled with huge stalactites and stalagmites. It has an underground river which is connected to the Blanca River. Megalodon Cave can be found in San Jorge, Samar and was named after a prehistoric giant shark, Megalodon, which a fossilized tooth of the said animal was discovered on March 28 of this year by a team of speleologists led by Guido Rossi (Italian) and Marcel Paul (French) guided by Joni A. Bonifacio, a well known cave master and speleologist in Samar. Also read: Is this a Megalodon Tooth Inside a Cave in Samar? Lobo cave is a hidden haven of magnificent mineral formation and is considered as one of the most beautiful caves in the Philippines. It is located in Jiabong, Samar and it would be very difficult to find its entrance if you do not have a local tour guide. 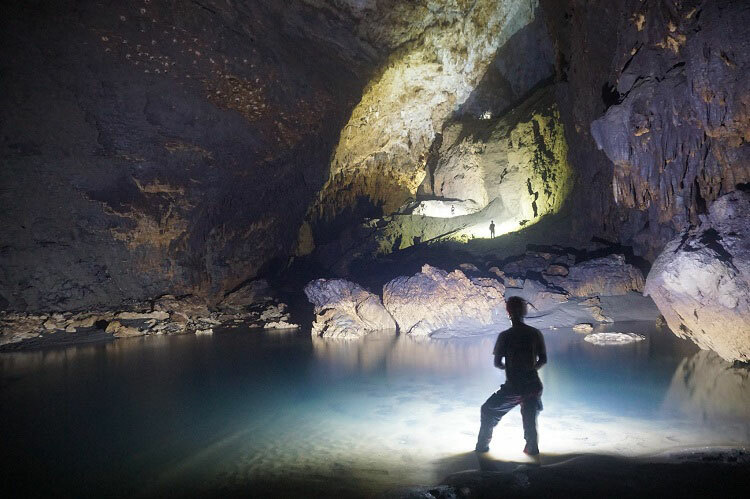 This cave is perfect for people who are new to caving experience. Central Cave is located on a hill of Brgy. San Andres which is five (5) kilometers away from Catbalogan, Samar. 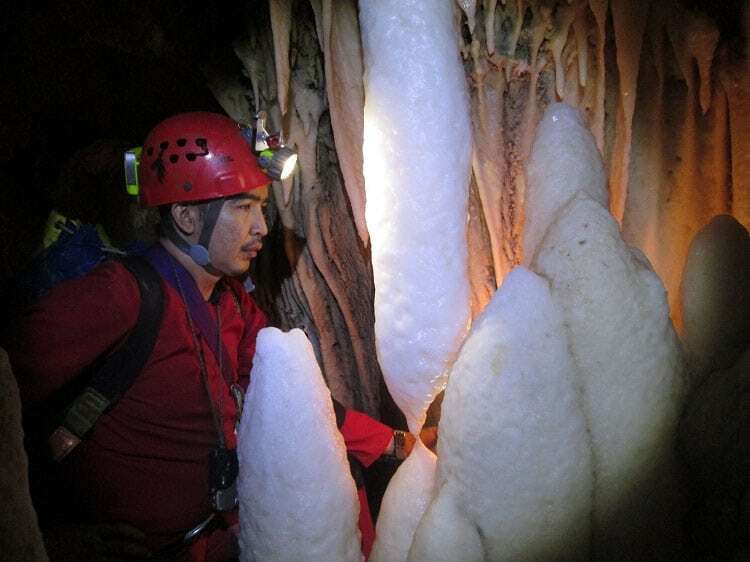 This cave was explored by two local speleologists namely; Joni A. Bonifacio and Zar Labtic on May 11, 2014. 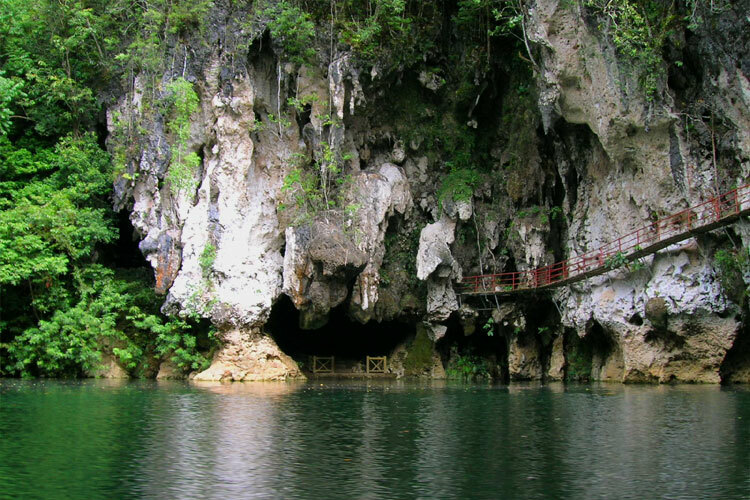 Sohoton Caves & Natural Bridge National Park in Basey, Samar. Photo by Iloilo Wanderer at Wikimedia Commons. Sohoton Cave got its name from a Cebuano word “so-oton” which means to pass through because the only entrance to this cave us a very low-ceilinged tunnel. It can only be accessed during low tide. It is a part of Sohoton National Park of Basey, Samar. It is also called as “snoring cave” because of the sound made by the receding tide as it slaps at the ceiling of the cave which sounds like a giant snoring. To visit and explore Sohoton Caves, tourists need to coordinate with the local government and tourism office of Basey Samar. You may also visit DOT Regional Office No. 8 at Barangay 25 Kanhuraw Hill, Magsaysay Boulevard, Tacloban City; or call (053) 832-0901 or +63998-8889715. Linao Cave in Sulangan, Guiuan, Eastern Samar. 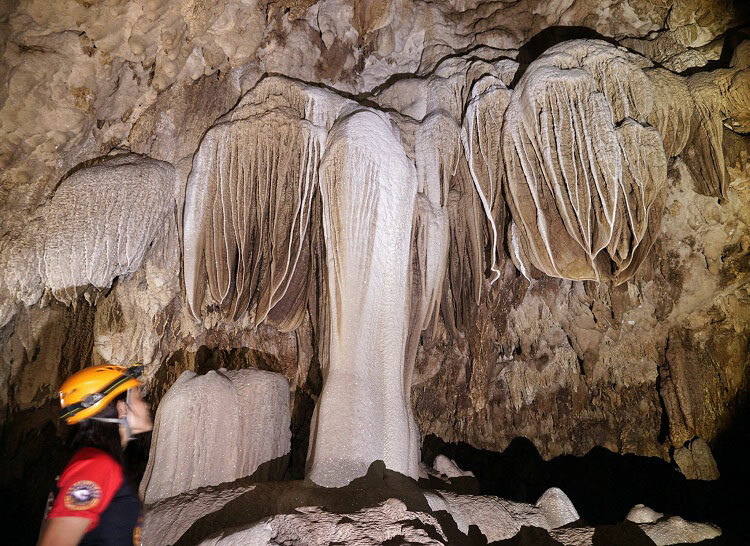 The Linao cave can be found in Guiuan, Samar. ‘Linao’ is a Waray-waray word which means ‘clear’ which describes the crystal clear fresh waters of the cave. The stone formations inside the cave are one of the best examples of Mother Nature’s work of art. 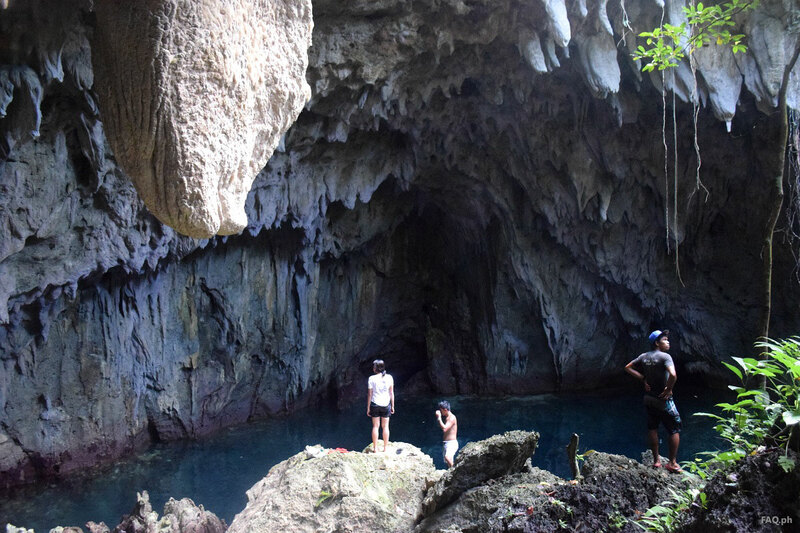 To visit and explore Linao Cave and other destinations in Guiuan, it is recommended to coordinate with the local government and tourism office of Guiuan, Eastern Samar. You may also visit DOT Regional Office No. 8 at Barangay 25 Kanhuraw Hill, Magsaysay Boulevard, Tacloban City; or call (053) 832-0901 or +63998-8889715. For more photos of caves in Samar, check out these 20 amazing photos that show why the island of Samar is the caving center of the Philippines. Hopefully, this article would help you decide on which cave to visit with your friends or family in the Caving Capital of the Philippines. But before going on a caving adventure, make sure that you are totally prepared starting with the things you need. Please take note that in going into a cave you are most likely to get wet and dirty so make sure that you are wearing all-synthetic clothes because wearing cotton socks or underwear will make you uncomfortable. Choose a durable shoes if you don’t want to finish the tour on foot. For your safety, never ever go on a caving exploration wearing slippers or flipflops because aside of the sharp stones it could easily get stuck in the mud. Speaking of safety, when caving, you must also wear a helmet, knee pads and other safety gear. 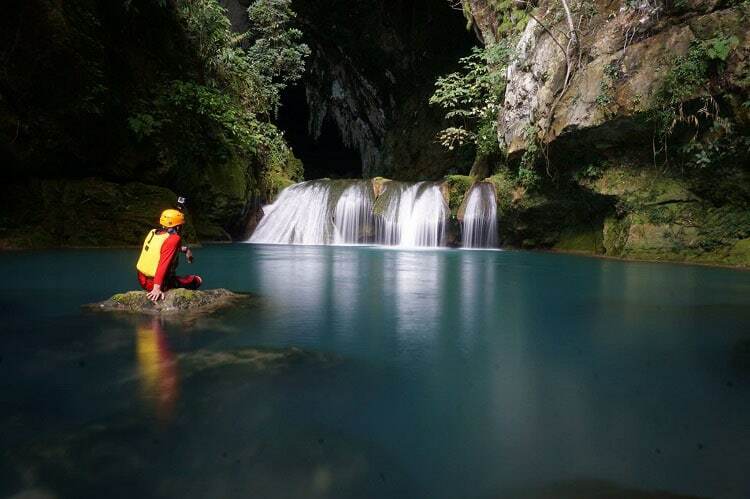 Other essentials for caving are, head lights, back pack, extra clothes that you can change in to after the trip, extra batteries, food and water and of course dry bags where you could put your cell phone, camera, other gadgets and wallet. These look amazing. I have already added Samar to my “must visit” list next time i am in the Philippines.